Acer introduces the Aspire GX-281-UR11 gaming desktop aimed for the budget conscious gamers with mid-level gaming in mind. It also offers good performance for video editing, 3D applications and 4K display. The Acer Aspire GX-281 desktop PC series is powered by AMD Ryzen 5 1400 processor with four cores and eight threads delivering a maximum turbo core speed of 3.4GHz. Paired with a NVIDIA GeForce GTX 1050 graphics card, the Acer Aspire GX-281 offers support for up to a 4K display monitor. The desktop also packs 8GB of DDR4 memory which is upgradeable to 64GB. Play the latest games and even VR titles with the Acer Aspire GX-281 with its balanced gaming performance at budget-friendly prices. To go along with the gaming performance of the desktop, the Aspire GX-281 sports an armour-shaped black chassis with a red arrow-like design with front red LED lighting for an equally appealing ‘gaming’ looks. It also features 1TB storage drive to store all your games, file, applications and others. 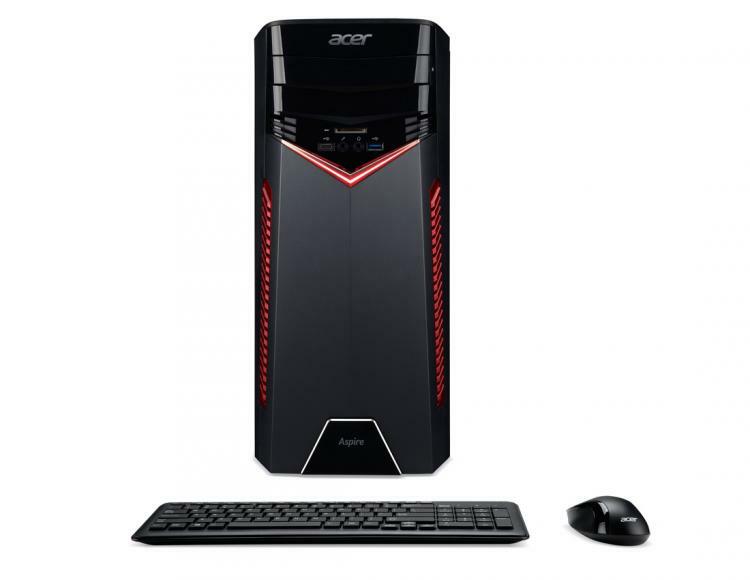 The Acer Aspire GX-281 desktop PC is a modern gaming machine that packs the latest technologies. For networking, it features an 802.11ac wireless adapter offering fast wireless internet connection along with a standard Gigabit LAN. It also offers Bluetooth 4.0 Low-Energy connectivity to pair gears and devices with the desktop PC. The Aspire GX-281 also features a front panel USB 3.1 Gen 1 Type-C port alongside with two SuperSpeed USB 3.1 Gen 2 in standard Type-A ports. The desktop PC also has the necessary USB 2.0 ports for plugging peripherals along with an HDMI and DisplayPort for display output. It also has an SD card reader for your flash cards. 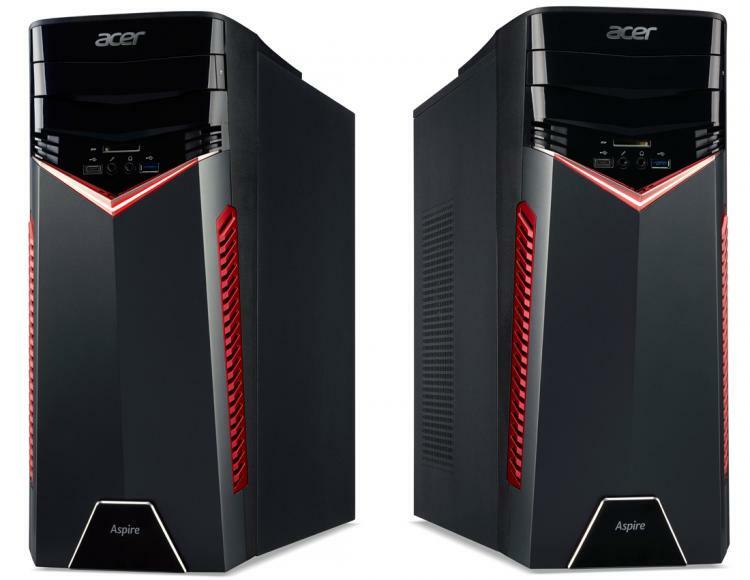 The Acer Aspire GX-281-UR11 gaming desktop is available with Windows 10 Home starting at $799 MSRP.